I fumbled in my purse for ye olde iPhone, and caught this. Voila! 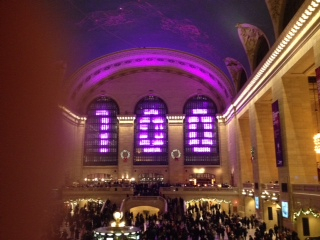 Grand Central’s glorious windows all a glow (featuring my thumb as guest star).